Amidst the turmoil in the Middle East, Jordan has presented a striking example of relative stability, and in this study, first published in 1967, Professor Vatikiotis sets out to show just how far Jordan’s stability depends on its army. The Jordan Arab Army, for long better known as the Arab Legion, was one of the best small fighting forces in the Middle East. Raised in 1921 by the late King Abdullah, the legion helped him to pacify the tribes and establish and extend his rule and authority over a fractious society in a region of vast desert expanses. The Legion then expanded into a disciplined military institution, but whereas the armies of several Arab states were involved in coups, the Jordan Arab Army has no such record. 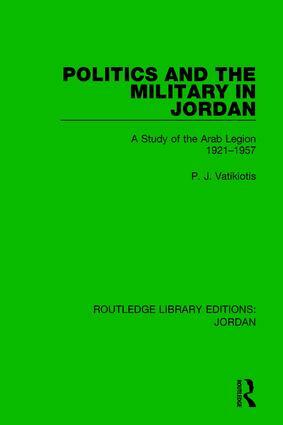 In this book, the author examines the particular historical conditions from which a state emerged in Jordan, and the role of the Arab Legion in its creation and consolidation.